Sasquatch Sounds Gallery - Sasquatch Canada contains current and authoritative information on sasquatch and other homins. Sounds attributed to sasquatch have been reported since the 1700s. What have become commonly known as the "Sierra Sounds" are the most noteworthy. 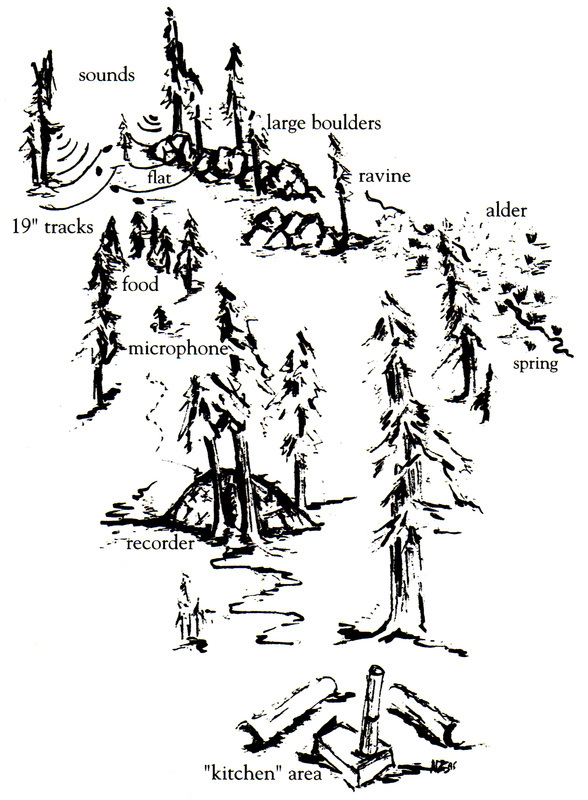 They were unusual "chatterings" heard in an area of the High Sierras in California between 1971 and 1974. The sounds were recorded by Al Berry in 1972. 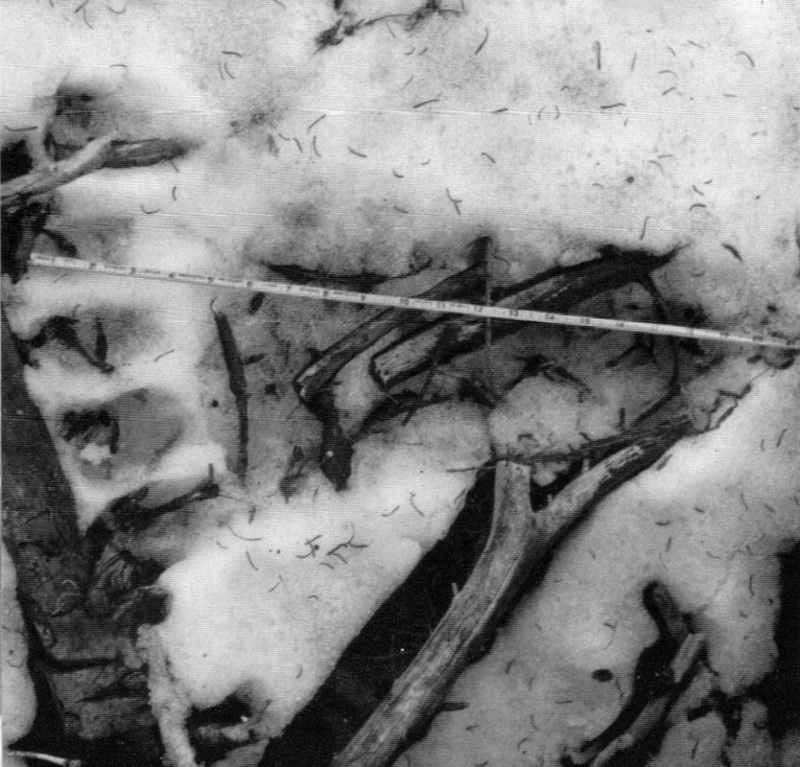 There were several sightings and large human-like footprints were found in the area; the sounds were therefor attributed to sasquatch. The drawing on the left shows the layout of the area where the recordings were made in 1972. 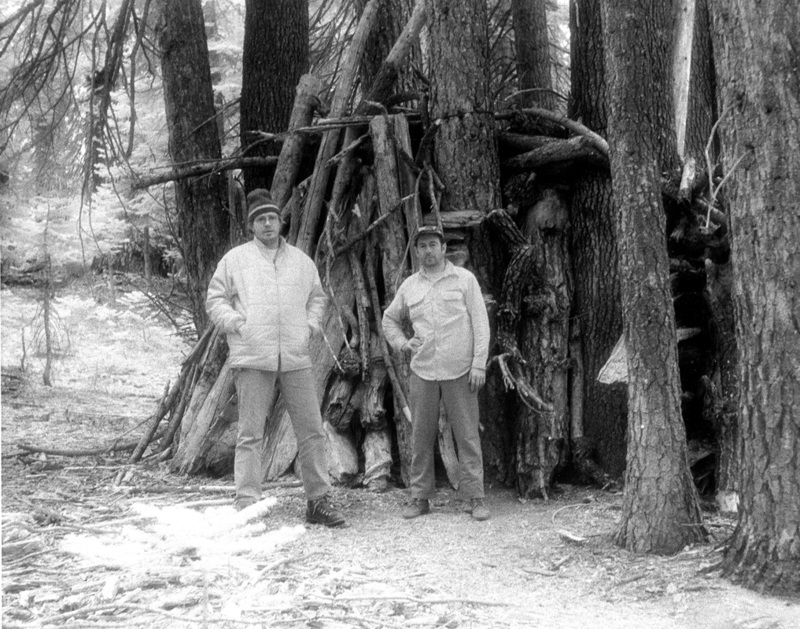 Al Berry (left) and Warren Johnson in front of their Sierra camp shelter in 1972. The activity was on a flat about 200 feet uphill, behind the shelter. Trees prevented any possible visual sightings. An 18-inch footprint in a thin patch of snow. A 13-inch footprint was also found.